Back-rowers Marco Mama and Mitch Eadie have signed new contracts to stay at Bristol until 2016. Both players came through the academy system at the Championship club. Mama, 23, has made 85 first-team appearances and scored 14 tries while Eadie, 22, has touched down on 15 occasions in 65 games. 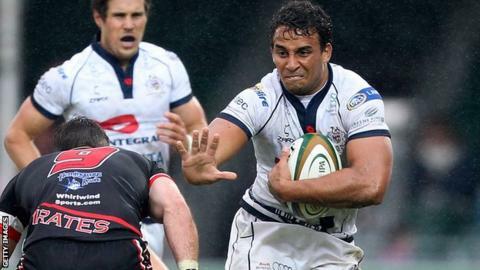 "Mitch and Marco's desire to stay with us is really significant for Bristol and the club's vision going forward," said director of rugby Andy Robinson. "Young talent who come through the academy have to be a focal point for Bristol - it's fantastic to see guys who have grown up in the city representing their club and becoming integral members of the first-team squad. "Now, the impetus is on Mitch and Marco to continue to work hard and keep improving, because we believe they have the potential to be leaders at Bristol."